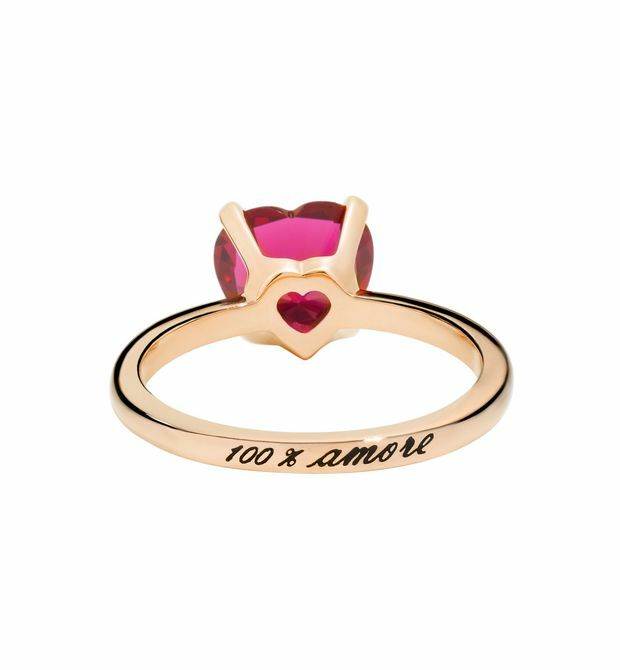 Every Amore symbolizes love. 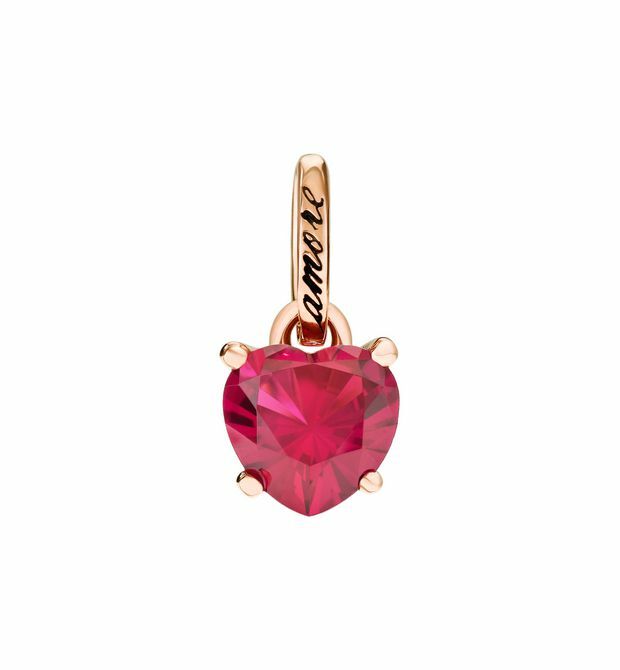 This heart-shaped synthetic ruby red Amore screams passion. Synthetic ruby set in 9kt rose gold. 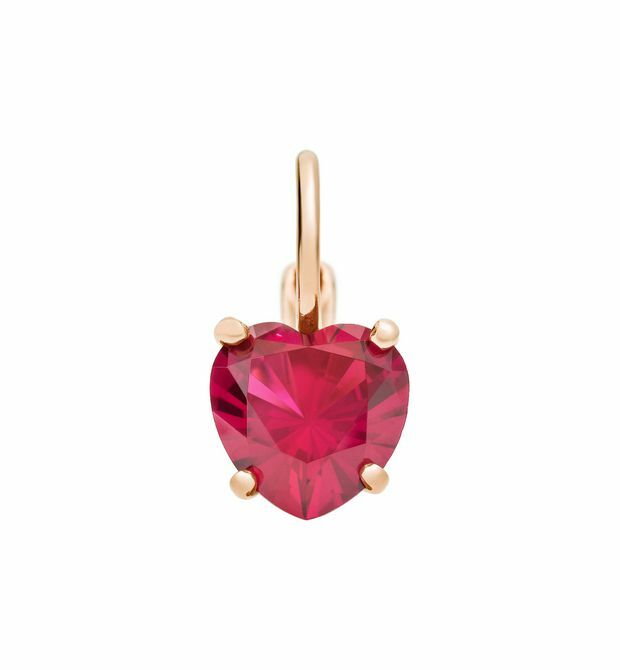 Wear this synthetic ruby close to your heart. Synthetic ruby set in 9kt rose gold. Black cord included. 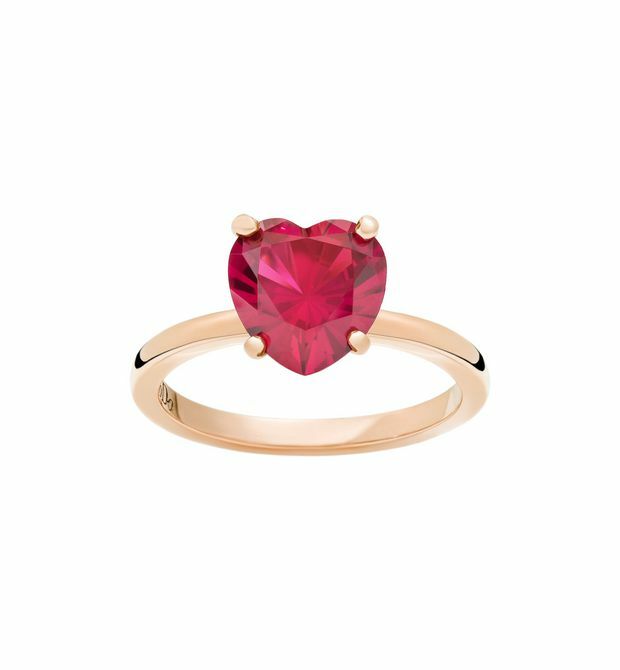 Heart-shaped ruby red favoriteed stone. Select two. Or choose a synthetic white sapphire for the other ear. 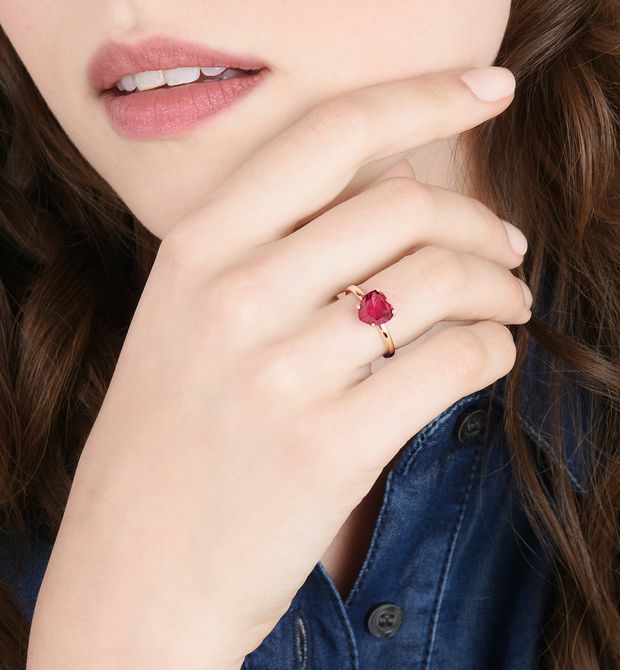 Synthetic ruby in 9kt rose gold setting.